The Newbury pointed top picket gate is a sawn finish palisade gate (also known as a picket gate) with pointed top pales. This range has been designed to offer incredible value for money. 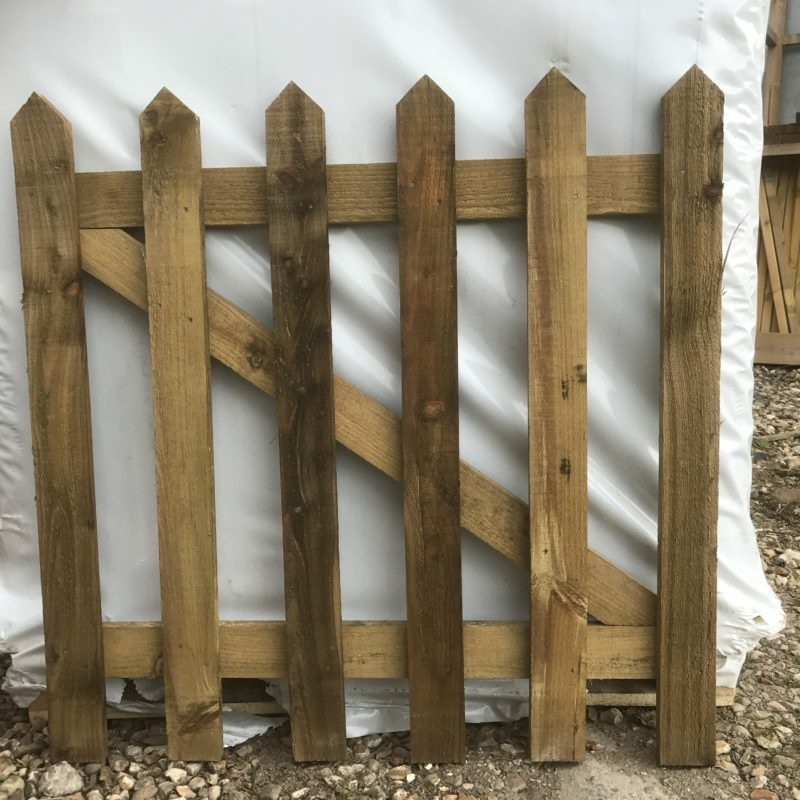 Available from stock in pressure treated softwood with a width of 0.9m with Newbury pointed top picket gates are offered in two heights to match the most popular sizes of picket fencing, 0.9m and 1.2m high. Both of which are held in stock.